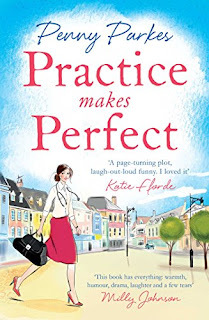 Today I am very excited to quick off the Blog Tour for Penny Parkes' second novel Practice Makes Perfect. 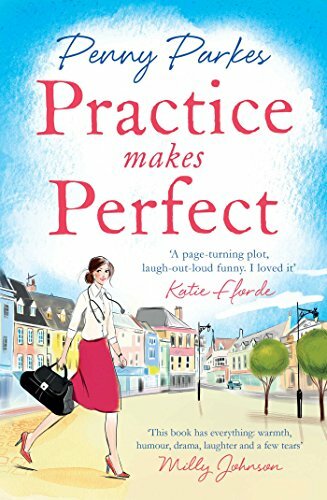 This lovely story is out this Thursday and if you enjoyed Penny's debut, Out of Practice, you cannot miss this one! Blurb: The Practice at Larkford has suddenly been thrust under the spotlight – and its nomination as a ‘NHS Model Surgery’ is causing the team major headaches. Dr Holly Graham should be basking in the glow of her new romance with fellow doctor, Taffy – but she is worried that the team is prioritising plaudits over patients, and her favourite resident, the irreverent and entertaining Elsie, is facing a difficult diagnosis. Add to that the chaos of family life and the strain is starting to show. 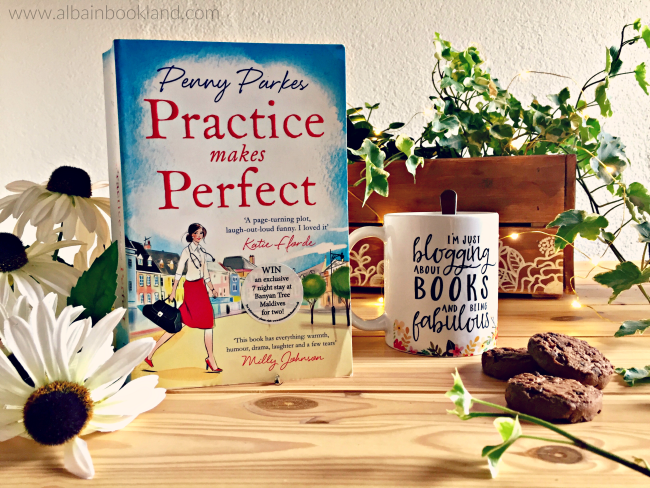 Review: Out of Practice, Penny's Parkes debut, was one of the cosiest and most delightful reads I read last year, so I was really looking forward to being back in Larkford and catching up with Holly and all the gang. And I can already tell you that Practice Makes Perfect doesn't disappoint at all. The story takes off a few months after the first book finished. The practice and their new managing style with no senior partner is a roaring success and satisfaction with patients is better than it has ever been. This leads to a nomination for the practice to become a model for NHS, but this soon turns to be more complications and scrutiny for the four doctors. As you can see there, this book is packed with drama and soon you find yourself immersed in the story and forgetting about your own reality. I really loved getting to know a new version of Taffy in this story, as he becomes more and more involved in Holly's life and we can see there's more to him than the easy-going guy we met in the first book. Also, every scene with Elsie is a joy to read. Her pearls of wisdom and advice for Holly and the girls are not only useful for them but for all of us. Just as Out of Practice, Practice Makes Perfect is not a short book but once again, the pages flew by. There's certainly no time for breathing with so many things happening at once. 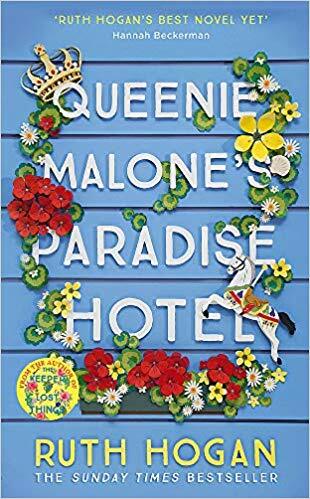 There are surprises for everyone and Penny Parkes' fun and compelling style make for a very entertaining read. I really hope that she is planning on more Larkford stories as I can't seem to get enough of these lovely characters. Don't miss any stops on the Blog Tour, it's going to be a good one!